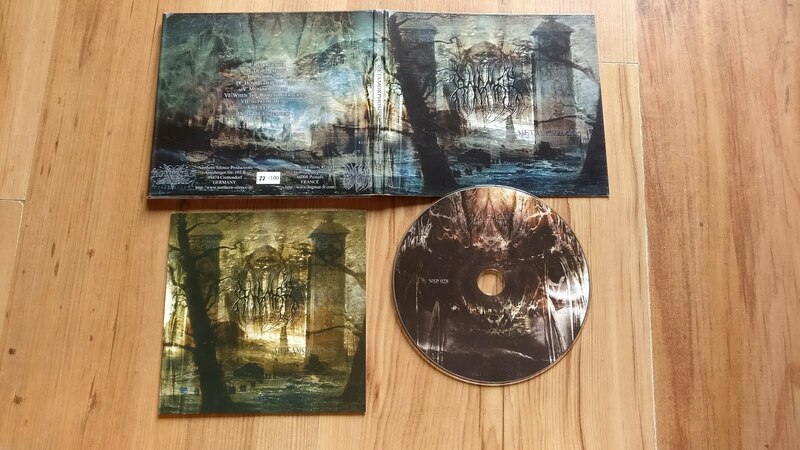 This is the debut album from French black metal crew Angmar, in it's hand numbered & limited to 100 copies digipak version. Whilst the band has had moderate success over the years, many will best know them from their split release with Alcest (which I featured here recently). This is good stuff to throw on when the mood occurs, and yet another one for the 'Tolkien inspired band name' file!